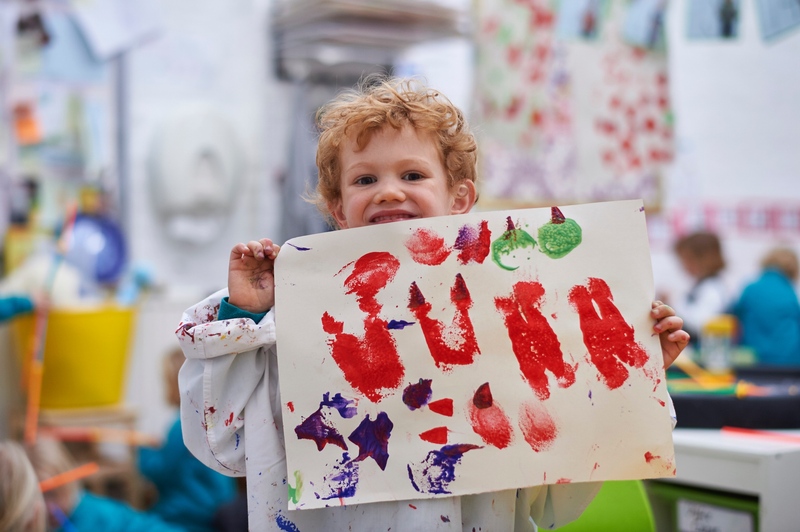 Arts and crafts, song and dance are woven into the school day so there’s always an opportunity to play with our percussion instruments, compose a tune, draw and paint or simply make a creative mess. Say we’ve taken mini-beasts as a theme. We might invite a bee-keeper in to explain the roles of different types of bee, how honey is made and its magical properties. The children might sing creepy-crawly songs, hatch butterflies in the classroom and go bug-hunting at our nature reserve. Another week might feature sculpture, or music from around the world. Then there are regular visits from a specialist music teacher, trips, plays, exhibitions and recitals, as well as the opportunity to show parents what they’ve achieved at assemblies. And if anyone’s imagination needs a little help, we have a designated area where a big image on the wall or an interesting object helps to trigger new ideas. Not that, in our experience, they need it. "I made an Easter card with a moving beak and gave it to my mum."